On February 26 the Japanese government published its latest Basic Energy Plan (BEP) for review and approval by the Cabinet. Approval is expected, sometime this month. The foreign headlines tended to focus almost exclusively on its statement that nuclear power remains an important source of energy. This new BEP should have come as no surprise, given earlier commentary by the Abe government. A more detailed read, however, reveals a far more nuanced story for nuclear as well as discussions of some interesting new developments. At the time of the Great Eastern Japan Earthquake and Tsunami in March 2011 Japan had 50 operational reactors ranging in age from 43 to 5 years. They provided a little over 44 GW to the Japanese grid, or about 27% of total electricity generation. Another 4 units were at some stage of construction, and another four units had been planned. The then effective BEP had a goal of 50 % nuclear power generation by 2030. All operational reactors have been shut down and construction halted on new units since the tsunami. In September of 2012, the then current government issued a strategy statement that had as its goal the phase out of nuclear power by 2039. This “statement” did not amend the current BEP prior to the Fukushima incident, and further, when the new government of the Liberal Democratic Party took over in late 2012, the Prime Minister, Mr. Abe, made it clear that it did not support a phase out. The official BEPs, before and after the disaster, have never reflected a “no nukes” position. There is also an extensive section specific to the steps to be taken at Fukushima during its “30 to 40 year” decontamination and decommissioning. The following chart, which was provided at the end of this latest draft Plan, clearly illustrates Japan’s problem (click on image to enlarge). The two bars to the right show the makeup of electricity supply in 2010 and 2012. Halting nuclear power generation resulted in a near tripling of oil and a 25% increase in natural gas/LPG use. These measures, especially oil consumption, have impacted Japan’s balance of payments, retail rates and greenhouse gas emissions. Promotion of upstream advance and strengthen relationships with new resources supplying countries in North America, Russia, Africa, etc. Strengthening promotion of recycling is essential to ensure a stable supply of mineral resources and reserves system, etc. Strengthen response to the crisis of supply disruptions from abroad by oil reserves, etc. Strengthen response to domestic crises. The following are highlights from the new sections of Chapter 3. Invest in upstream development by Japanese companies through aggressive diplomacy on the part of the National Institute of Oil, Gas and Metals (JOGM) and provide loan guarantees through public and private sector cooperation. Apply for mining permits outside of Japan Economic Zone through the International Seabed authority, including rare earth minerals off Marcus Island and manganese nodules near Hawaii. Commercialize methane hydrate production by 2018. Assess 6,000 sq. km annually through 2018 for oil reserves. Speed up the environmental assessment and on the electrical business law regulatory science to promote more geothermal and wind power generation. Embrace renewable energy in areas between transmission lines. Promote the development of special purpose companies aiming for return on investment relating to transmission line maintenance. In the newly established regional management promotion agency, adjust the frequency variations in wide-area systems to accommodate the increased use of renewable energy that cause fluctuations in the electric power system. Absorb fluctuating renewable energy along with a large storage batteries and hydrogen activities. Demonstrate large storage batteries for introduction demonstration to substations, etc. and with international standardization. Through R&D seek to reduce large battery costs by half by 2020. The increased use of offshore wind power is indispensable. 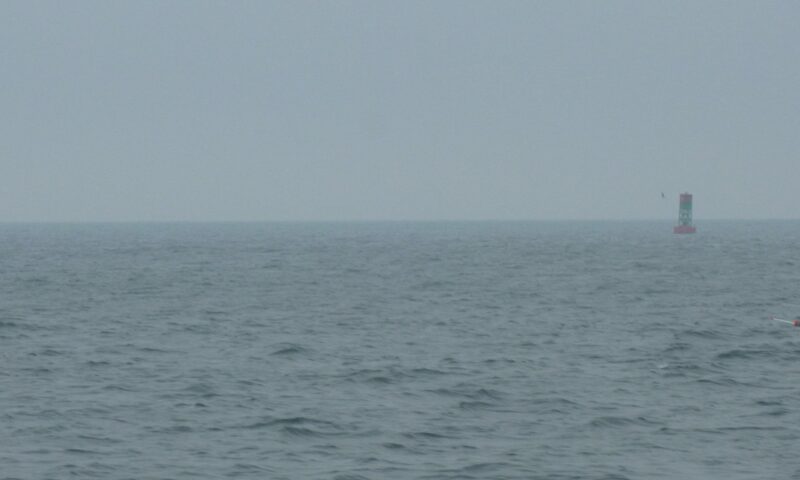 Seek to achieve world’s first commercial floating offshore wind power unit and promote empirical research to being conducted off the coast of Nagasaki, as soon as 2018. In the 17 months since their introduction in November 2012, feed in tariffs have increased renewable generation by 30%. Accelerate efforts to ratify the Convention on Supplementary Compensation for Nuclear Damage (CSC). Expand capability to store spent nuclear fuel; promote the use of MOX fuel and reprocessing.The text specifically calls for timely commissioning of the Rokkasho reprocessing plant and restart of the Monju sodium cooled fast reactor. Monju cost $200 million a year to maintain and has been subject to many shutdowns and safety violations since it began operation in 1994. While there may be begrudging public support for the restart of a few reactors most editorials question the need for generating more plutonium and want to see the Monju shuttered. It’s really unfortunate that this and earlier drafts of the BEP have not been translated into English. What I’ve done here is synthesize a number of translation routines and combined that with my own perspective. Surely I’ve missed a great deal without a complete translation. Regardless, it is clear that the summaries of this document in the world press did not do it justice and perhaps were tinged with a lot of optimism. Relicensing of the idle reactors will not be simple and at best guess between 10 and 12 might make the grade. In addition those that do survive the process will not be operating any time soon. The Nuclear Regulatory Authority is reportedly bogged down in paperwork and still trying to work through a process that is not fully defined. Recent editorials in the Asahi Shimbun and The Japan Times make it clear that public sentiment, except perhaps in and around Tokyo, is not entirely behind nuclear restart. The BEP itself makes clear that local authorities will have a lot of influence on restart decisions. 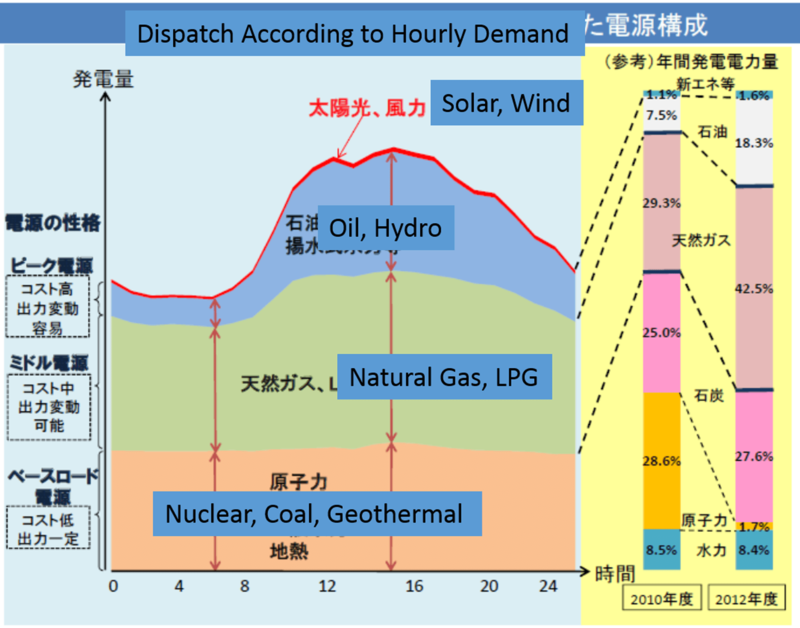 In the meantime, the other portions of the BEP have catapulted Japan into a much more supportive climate for renewables and, it seems, especially with regard to smart grid, T&D automation and demand response.